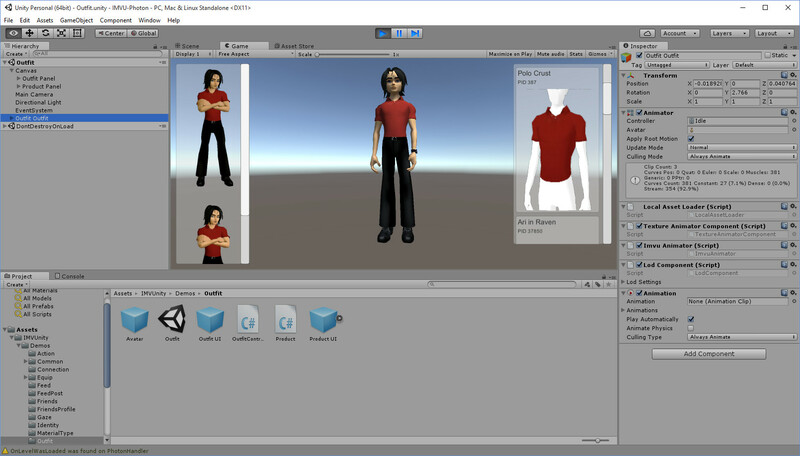 There are Unity3D packages available to add Photon multi-user networking support and IMVU avatar connections. Photon Realtime multiplayer networking support is available using their Photo Cloud free for up to 20 concurrent users, or you can host a Photon MMO server yourself. 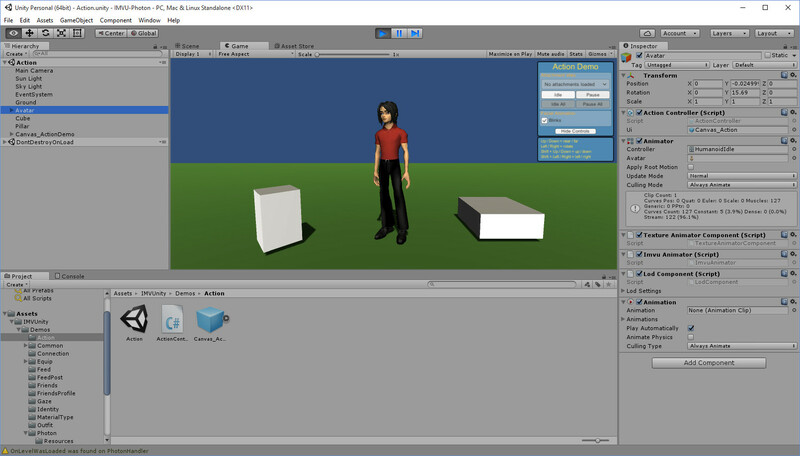 You need to register (free) for a Photon Realtime App ID to complete the configuration needed in Unity3D. IMVU is a 3D avatar -based chat and social platform with millions of users. 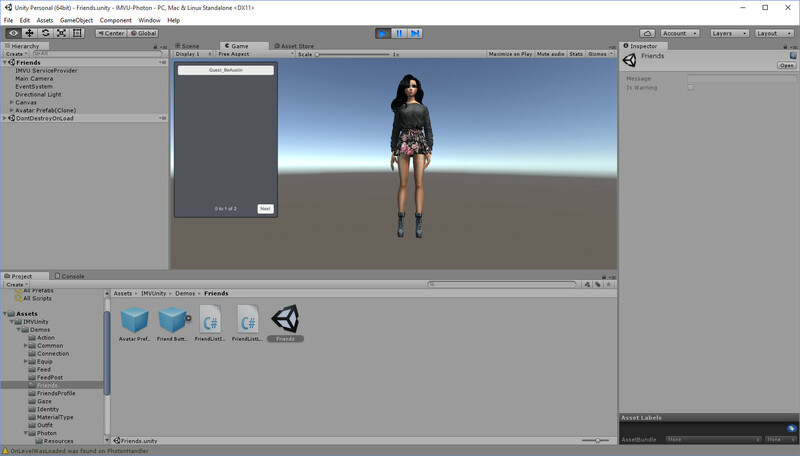 A Unity package provides a means to load an IMVU avatar, and that of your friends, into Unity, and synchronize communication using multi-player support from Photon or Unity Networking. You need to register (free) for an IMVU avatar (unless you already have one) and a developer App ID to complete the configuration needed in Unity3D. 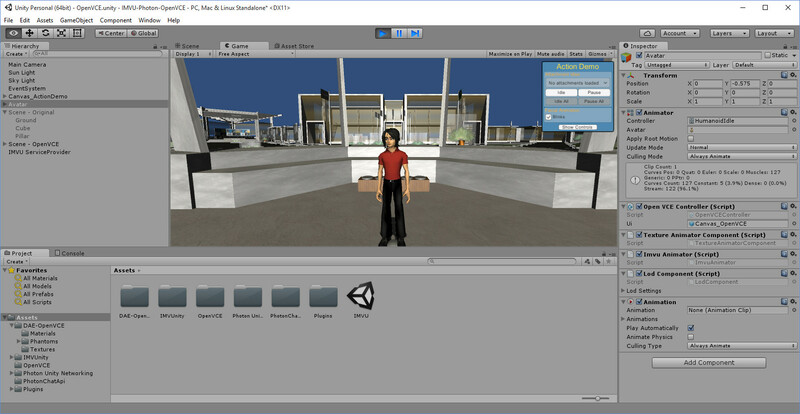 Once the Photon Networking and IMVU Unity packages are installed in a Unity3D project you can open the various Photon and IMVU demonstrations to see how things work. 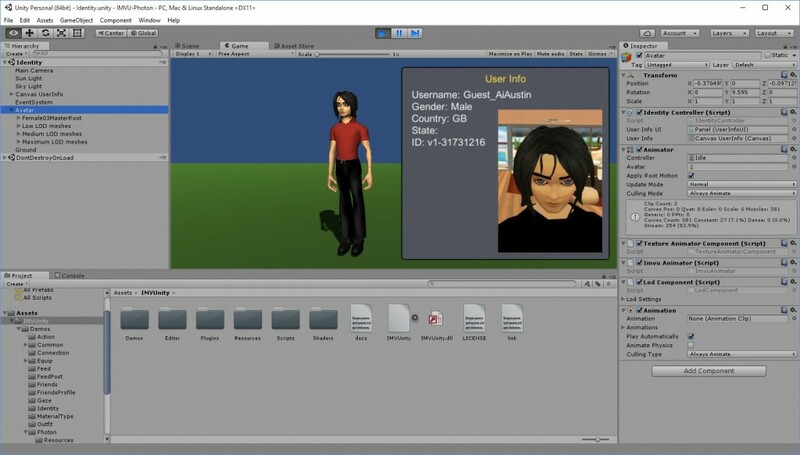 I have begun to experiment with a Unity application based on these packages to allow for multi-user support in an OpenVCE collaboration environment. This entry was posted in 3D, Virtual World and tagged Avatar, IMVU, Photon, Unity, Unity3D. Bookmark the permalink.